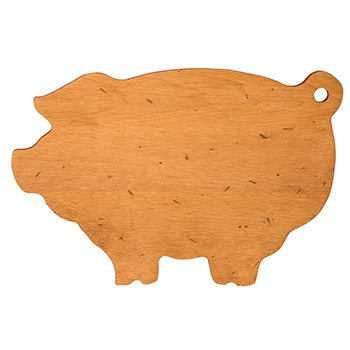 Our Slate Square Serving Tray has been engraved with a beautiful illustration of a pig. Slate makes a unique and delightful way to serve your favorite dishes with friends and family everything from pulled pork sliders to your favorite charcutiere. Slate can be used for serving cheeses or to use as a trivet. Our natural slate is food safe and easy to clean. Slate boards come with a soapstone pencil that makes it easy to write directly on the slate.